You are browsing the archive for 2017 December 29. Let's put the year to bed. It was the best of times; it was the worst of times. Tens of thousands died of drug overdoses, hundreds of thousands were arrested for drugs, yet marijuana is seeing boom times. As we bid adieu to 2017, here are the year's drug policy highlights. The country's opioid crisis showed no signs of abating in 2017, with the Centers for Disease Control estimating 66,000 overdose deaths this year, up from 63,000 in 2016. To be clear, only about two-thirds of fatal drug overdoses are linked to heroin and prescription opioids, but opioid overdoses surged in 2016 by 28%. It's too early for final data on 2017 overdoses, but there is little reason to doubt that opioids were driving the increase this year. The high levels of overdose deaths have led to a fall in US life expectancy for the past two years, only the third time that has happened in the past century. Painful as it will be, it's a necessary precondition to creating a more just country. When the United States vetoed a United Nations Security Council resolution asking nations not to build any more diplomatic missions in Jerusalem only to be drubbed 128-9 in the General Assembly, which voted on a similar non-binding resolution last week, America’s ambassador to the UN, Nikki Haley, loudly proclaimed that the United States would be “taking names.” Her warning fell on deaf ears, although the U.S. and Israel did manage to cajole that titan of geopolitics, Guatemala, to come around to the American view. The whole pitiful episode merely confirmed what the Trump administration has made readily apparent: Haley, like the president, has internalized the same impossible tale conservatives have been selling to Fox News grandmas for decades now: that the U.S. is a font of beneficent foreign aid; that the State Department outspends the Pentagon; and that billions and trillions in cash flow ever outward from our vaults and into the greedy hands of ungrateful minor nations that would sink without it. They think, in other words, that we have leverage where we do not. When the UN announced a reduction in its budget for next fiscal year—something commonplace and long in the works—the U.S. government crowed that this was its doing. No one cared. But in an odd way, combative and stupid as they are, Trump and his circle intuitively grasp something that the mandarins of America’s post-war foreign policy consensus either won't or can't: that the institutions the United States built in order to camouflage and maintain its worldwide empire are increasingly unresponsive to the imperial will. In this respect, their strident nationalism is partially, if accidentally, correct. We ain’t what we used to be. Our final show of the year features a talk given by Dr. Bob Murphy at a recent Mises Institute event in Orlando. His topic is the culture wars– and if you think America is divided now, just wait until we have another crash like '08. But Bob is ready with a prescription: less politics & smaller polities. It's time to stop hating each other and start reducing the political power wielded over us, as Bob conveys in his own unique and humorous style. Listen to Jeff's talk from the event here. In early 1970, National Guardsmen were spotted walking from door to door in neighborhoods throughout the United States. They weren’t conducting a military operation or helping clean up after a natural disaster—they were delivering the mail in the midst of a postal strike that almost brought the United States to a halt. The eight-day strike of some 150,000 letter carriers in 30 cities took the nation by surprise, but for many in the U.S. Postal Department (forerunner of today’s USPS) it was a long time coming. At the time, pay raises for postal workers were almost unheard of: After 21 years on the job, noted The New York Times, a letter carrier would only earn $2,266 more than their starting salary. Though unionized, postal workers were forbidden from negotiating for pay raises due to cost of living. There was no chance to earn overtime, and many workers had to find a second job to make ends meet. To top it off, life as a letter carrier was unforgiving. The work was physically demanding, and even experienced employees had no idea how many hours they would work. They waited in break rooms for long periods, hoping to be called for a few hours of delivering the mail. 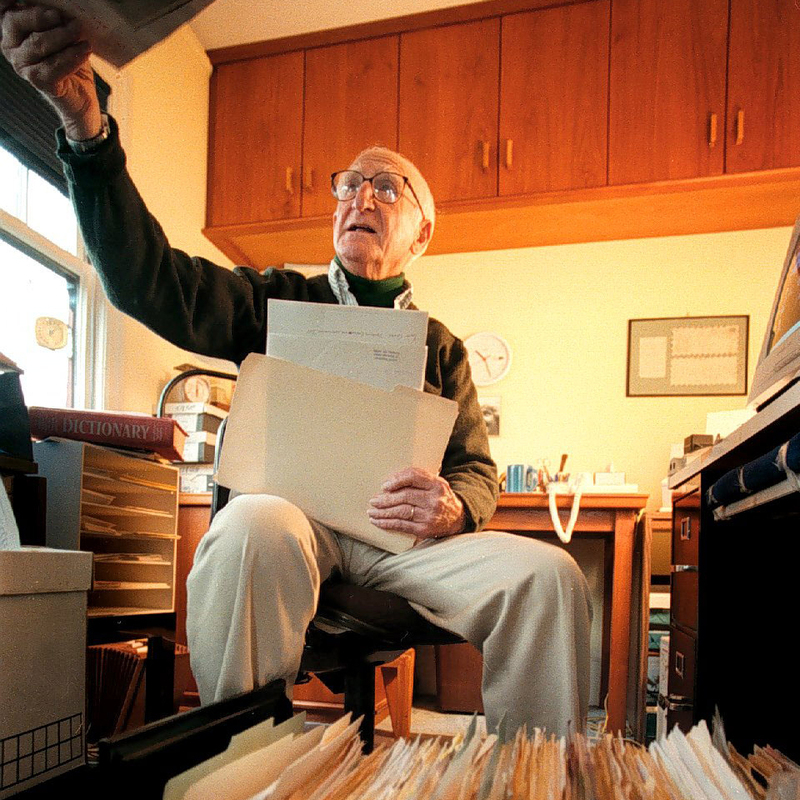 By 1970, their turnover rate was 23 percent. Tensions boiled over when Congress proposed raising their own salaries by 41 percent in early 1970—but only offered postal employees a 5.4 percent raise. 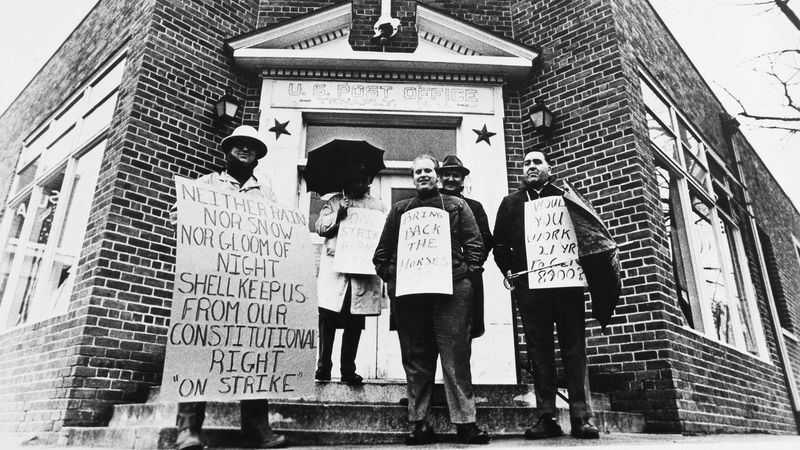 Furious letter carriers in New York called a meeting of the local branch of the National Association of Letter Carriers union on March 17, 1970 to demand a strike. But the union refused to strike. Union leaders agreed there were legitimate problems, but pointed out that it was illegal for federal workers to strike. (It still is.) Members took a vote. It was close—1,555 for a strike, 1,055 against. However, a group of pro-strike workers led by Vincent Sombrotto defied their union and decided to stop work the next morning. This “wildcat” strike—one that goes against the wishes of the union—meant that Sombrotto and his colleagues lacked official support for their actions. But they had many supporters elsewhere: other discontented letter carriers from coast to coast. If we focus on the power analysis, the answer is staring us in the face. The beginning of the 21st century found Argentina in the midst of a storm. In 2001 the country was submerged in a deep recession which spiraled into a political crisis after the mid-term elections of October. By the end of that year, the administration led by Fernando de la Rúa fell and more than a decade of populist policies followed. The ’90s looked nothing like the early 2000s. After the fall of the Berlin wall, the whole of Latin America, from Mexico to Argentina, experienced the so-called “neoliberal wave”. In Argentina, neoliberalism meant a series of economic reforms. For instance, the privatization of highly inefficient state monopolies — such as the one in telecommunications. It also meant the reduction of public employees, and a relative opening of the economy. But the key issue was a monetary regime named “convertibility.” The currency board implemented by the then minister of finance, Domingo Cavallo, almost immediately stopped a chronic and decades long inflationary problem which had evolved by 1989 into hyperinflation. By the end of the ’90s the inconsistencies of the economic program were causing imbalances, huge deficits, and unemployment. In 1998 the economy entered a prolonged period of recession. President de la Rúa came to power running a conservative campaign — promising to maintain convertibility and price stability but also to boost the economy and fight rampant corruption. At the same time, Hugo Chávez was elected in Venezuela. The message of Chávez was diametrically opposed. It would be soon clear that the exhausted neoliberalism was going to be replaced — across the region — by a new wave of populism. The seeds of neopopulism in Argentina were planted by President Eduardo Duhalde. An obscure figure from the province of Buenos Aires, he arrived to the presidency thanks to a parliamentary procedure just two years after losing the elections to Mr. de la Rúa. Many claim that both Mr. Duhalde and the Peronist party were conspiring against the government and eventually provoked its collapse. The study of Western Civilization has been all but eradicated. This was no accident but, rather, an aggressive policy of leftist academe which has used exclusionary tactics to dominate and pervert the culture and purpose of our universities since the 1960s and 70s.1 But, for us students, driven underground, Western history is the greatest treasure trove of almost every faculty. Not least of these is natural law. The story of natural law is a fascinating one; Ricardo Duchesne draws from decades of definitive scholarship on the uniqueness of the West to crystallize the “essential message” from across the social sciences: “the rise of the West is the story of the realization of humans who think of themselves as self-determining and therefore accept as authoritative only those norms and institutions that can be seen to be congenial with their awareness of themselves as free and rational agents.”4 Being at the heart of Western civilization, yet lost to history and shrouded in confusion, I would like to clarify the environment in which natural law developed and the consequences of its loss.